Safe Waters Foundation (SWF) is a not-for-profit group supporting the development of harmony and safety for merfolk and aquatics of Second Life. 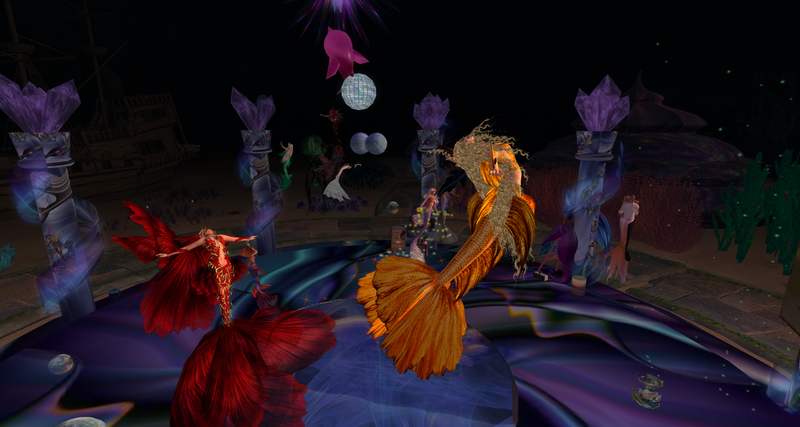 We bring together designers, retailers, sims, merrow, mermen, mermaids, siren, aquatics and lovers of same. Note: Safe Waters Foundation (without !!! in name) on inWorldz is in no way affiliated or endorsed by our group. Any complaints or questions about the inWorldz Safe Waters Foundation group should be sent directly to that group’s owners. To assist those considering a mer life. To increase awareness in the general public that there is a mer option. To make mer resources (events, projects, groups, retailers, sims, designers) visible and easily accessible. To assist, as possible, with the viability of mer resources so they may continue to be available to the community. 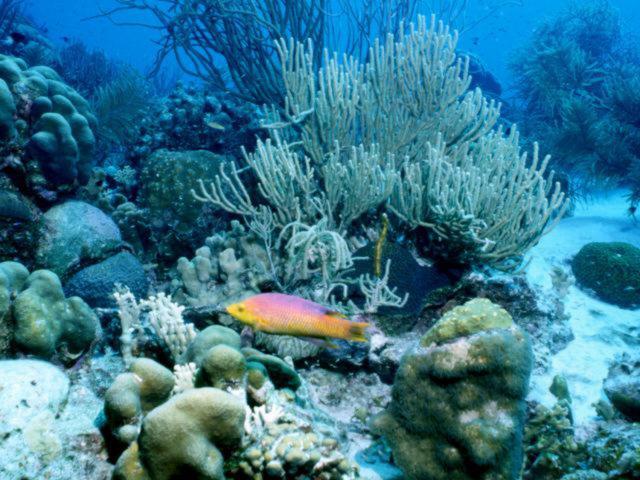 To promote the conservation of real-life oceans, lakes and waterways and the nature that relies on them. For more information, visit the RFL web site. SWF participates regularly in RFL - watch for announcements of future RFL campaigns. You can find the SWF Blog at Blogspot. Minutes of the most recent SWF Meeting can be found there as well. The Events Calendar shows mer-friendly events. Members can get permission to post to the calendar by working with GraceSWF Wrigglesworth. You need to be willing to share an email address (many use gmail as it is a Google calendar). Contact Cynthia Maine, Celtic Infinity, or Maddy Perennity to have your events added to the calendar. Mer Mentors are volunteer mers that are available to assist new mermaids and mermen. They can help introduce you with the mer world, and assist with questions regarding tails, AO's, HUD's, shopping, and great places to swim. Some may also help with general SL questions, but their emphasis is mer. The best way to find one is to go to SWF HQ and check who is online at the welcome desk. We're a group of sophisticated servants here in SWF called SWF Concierge. What we're here for is to better improve upon and increase assisting all mers in being mers. We do our best to seek out and assist guests to join our ranks, help new members to learn more about what a special organization that SWF is, and we assist regular members, officers, mentors, guardians, sages, elders, military, and so on as well. We have all information about SWF at our disposal so that we may assist anyone on any level. We have the latest and greatest info on tails, hangouts, sea creatures, rides, to giving even newly elected officers a copy of what they need to know in order to become one. Our goal is to keep all this info readily available as needed to assist anyone on any level. An apprentice works to assist one of the officers of Safe Waters Foundation -- it's often the small details of running around, but allows so much more to be accomplished. It is a way to give with a flexible schedule, and a way to get to know one very sage mer in a trust-building environment. Not glorious, but they are definitely part of the team. Right now the bonds are forming and trust-building as we learn to work together. Send Grace a note if you think you might like to be a SWF Apprentice. It takes reliability, great patience... oh, and a generous soul! Please contact CEO Grace to apply or reapply as an officer of SWF. 1) Use the Safe Waters Foundation SL group information display. 2) Use the Subscrib-o-matic board which is present at each support group meeting. Meetings are held on Saturdays at 10am SLT. 3) Contact Cynthia Maine in-world, and she will invite you to the group. She can also add your titles of mermaid/merman.